Back in January, a friend asked me where we had camped during our annual New Year’s stay in Oxnard. She laughed hysterically. I started wondering what other assumptions people might have about me, based largely on my having this blog. And as I meet more and more outdoor bloggers, I realize I don’t quite fit the profile. Yet I’m not your typical mommy blogger either. I’m guessing that if you’re reading this, you and I might be more alike than you realize. And I want you to know that you can do this, too. Be a nature parent just like me. Even in this fast-paced, computer driven, over-stimulating world we find ourselves living in. I don’t participate in any outdoor adventure sports (such as rock climbing, mountain biking, kayaking or the like). At most, our family camps a few nights each summer, usually as part of a family vacation. We eat plenty of non-organic foods. I’ve never been backpacking and don’t really have the urge to try it. I love spending time indoors. Preferably with a good TV show or movie on tap. The Explorers watch TV shows and movies, too. They also use computers and iPads. Both kids attend our neighborhood public school and are involved in extracurricular activities. During the school year, most of our grander nature adventures are limited to weekends and holidays. I don’t let my kids (who are 6 and 9 ½) walk to or from school alone, play in the park solo or ride the bus alone. I absolutely detest cold weather. And by cold, I mean anything under 60 degrees Fahrenheit. This same mom (that’s me, remember?) is fine with my kids getting dirty – in fact, I encourage it. I don’t mind messes (as long as they’re eventually cleaned up) and I have no problem going more than a day without a shower. I love crawly critters, road trips, a nice warm spot to sit while I dip my feet in a cold river, mountains, fresh air and watching my kids discover the wonder of this great huge planet we call home. Why am I telling you all of this? Because I want you to see that it doesn’t take any special skills or training to be an outdoor parent. You don’t have to been physically fit, like cold weather or know the names of every bug your kid discovers. 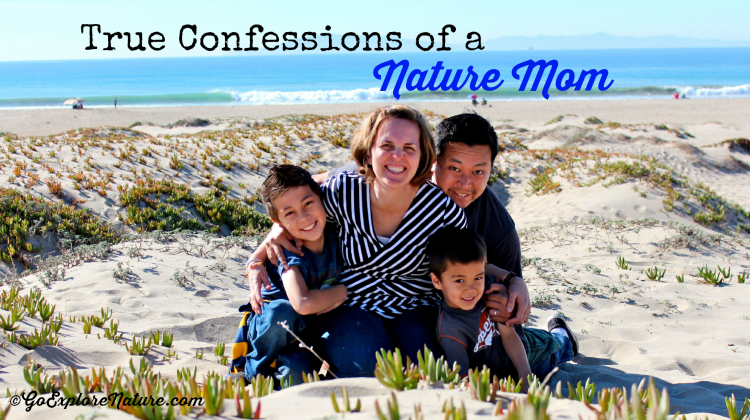 All you need is a willingness to get outdoors, go exploring and to take your kids with you. If I can do it, anyone can do it. Even you. Especially you. Well said! You don’t have to be anything crazily different to give your kids a thirst for exploring the outdoors and natural world. In fact most kids just need to ge given the chance to be outside and figure out the rest themselves! Lol! I think so many forfeit the pleasures of the outdoors because they feel like they don&#39;t fit the criterion but all that is,as you conveyed, is a love for nature! Great post, Debi. <br />It is great to get the word out that people can enjoy nature &amp; gain all of the benefits of nature without fitting into an extreme mold of someone who eats &amp; breathes nature. Loved reading this Debi. I&#39;m similar. My kids and I like to watch TV too but our life is more of balance, ensuring there is always time out of doors for discovery, investigations and dirt!